This year, I’m all into creating Valentine’s-themed treats. Anything with pink or red hues, I’m all for it. Although Valentine’s Day is generally associated with rich chocolate and decadent sweets, I believe it’s time to change that. 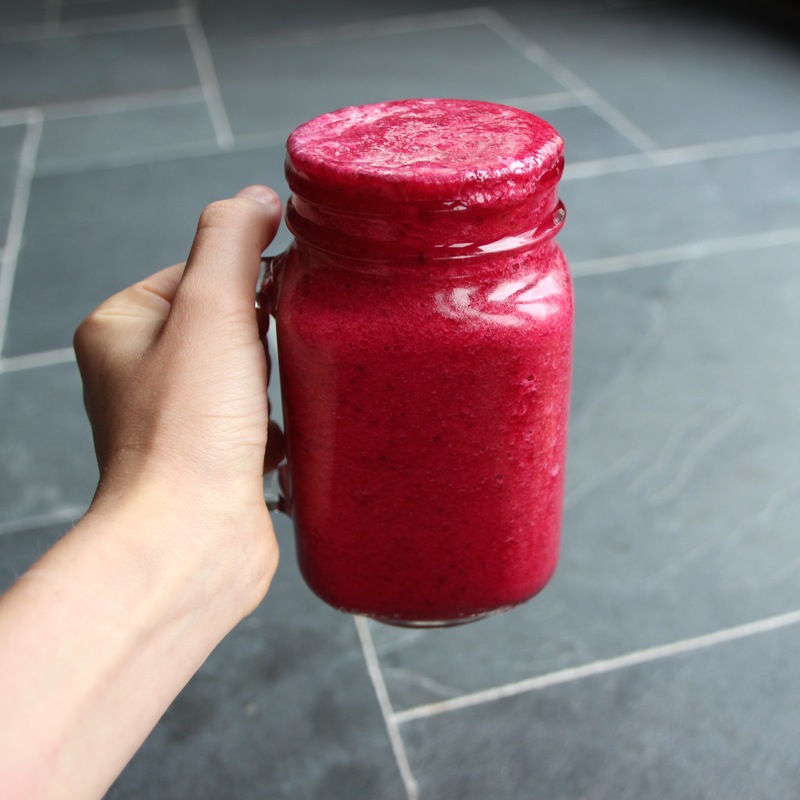 Today, I have created a wholesome, energizing beet smoothie with a swoon-worthy magenta color just for you. If you’re looking to start adding veggies into your smoothies, but you aren’t quite ready to dive headfirst into kale smoothie land, then I would definitely recommend giving this recipe a go. Have no fear, beets add a pop of color, have a mild, sweet taste, and are chock-full of health benefits. Beets are high in fiber and iron and are known to have detoxification and anti-inflammatory qualities… so drink up! 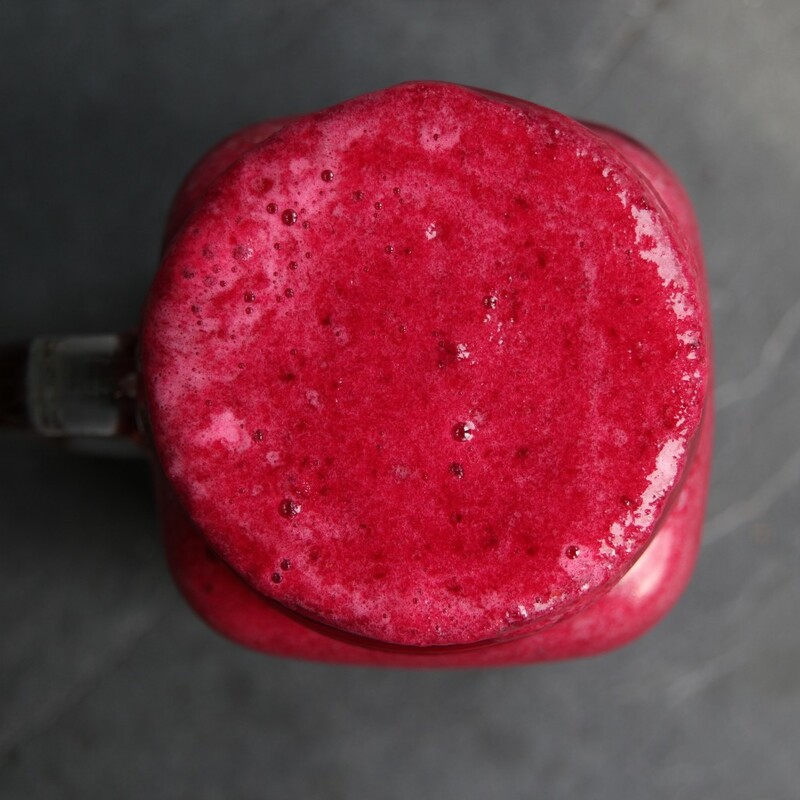 During this month of romance, show yourself some love and create this energy-boosting beet smoothie. When possible, I love buying my fruits and veggies from farmer’s markets. Chuck all ingredients into a high-powered blender. 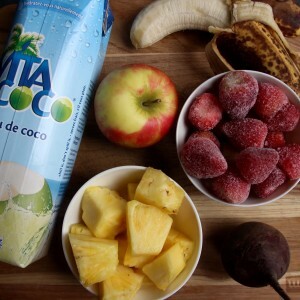 This smoothie is full of substance with just the right amount of earthiness. I love how beets act as a natural dye! Emma Gangbar is a high school student from Canada. Emma loves taking pictures of pretty things, recipe-creating, Scott Hellman’s songs, and farmers’ market hopping. You can find her window shopping (and real shopping), baking (and brunching), or on a vacation (as well as a staycation)!